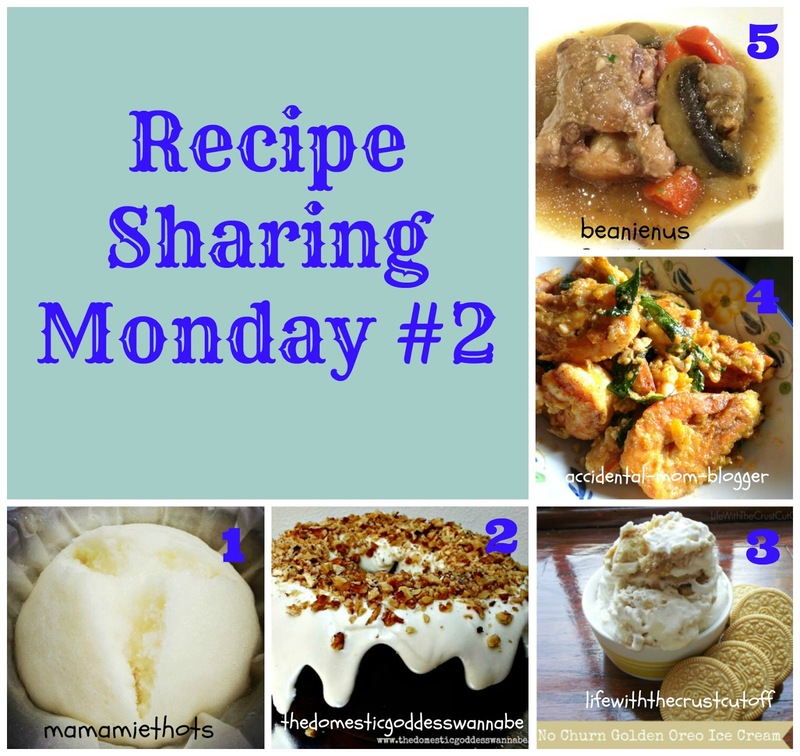 My 2nd Recipe Sharing Monday post~ So pleased with myself that I did not give it up shortly after my 1st sharing. Well, I STILL have not do up the button as I was having crazy weeks at work and with the school reopens on 01 July 2013 I have million of things to catch up; I'm starting to wonder who is the one attending Primary school. Anyway, button will be up soon, as with the feature button too, so please bear with me for... hmmm... as long as possible. Today I am sharing some of my favourite dish recipes, the Oxtail stew is a one pot dish that can help you settle 1 dinner during the weekday. If you cook a bigger pot, perhaps you can eat that for 2 days, that's the wonder of stew! And that to die for Chocolate Cream Cheese Bundt Cake~~ If only I can bake that but you all know I'm still a noob when it comes to baking. 5. Oxtail Stew by Beanie N Us! Do check out the recipes featured today, some of them are really easy and you will be surprise how simple it is to whip it up. Its National Ice Cream Month in USA, try out the simple ice cream recipe above and you will find out that home made ice cream taste the best! Till the next Recipe Sharing Monday post, remember to cook and link up with my Foodie Fridays linky that is happening on every Friday, your recipe may be feature next! I don't have to tell you to cook more often but I will have to tell you to link up more often! I am a sucker for recipes. I keep on searching the net & collecting recipes. Although my trial speed is very slow ;) Hope to catch up on this as well. I'm also always crawling the web to look for some recipes from all over the world. It takes a lot of time so I just do it slow. Yummy this chocolate cake looks great! Thanks for sharing this! Thanks for sharing your delicious recipes! I am all about the ice cream month and your chocolate cake and ice cream recipes look fabulous. Thanks for sharing! Thanks for sharing your wonderful recipes. My family is all about the ice cream so having creative recipes we can use always makes for a great day:-) I appreciate your varied recipe categories. Thanks! I just want to inspire more people to cook for their family, especially the full time working mums. Cooking can be fun and relaxing once you get the hang of it.